ca. 405 - 385 B.C. Detail of a Nysiad nymph from a painting depicting the birth of the god Dionysus. The Nysiad nymph and her two sisters are about to receive the infant Dionysus into their care. 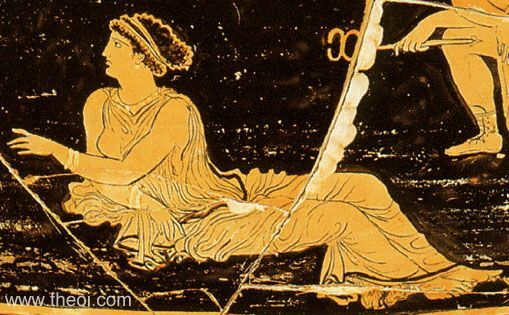 She reclines on the ground beside the god Hermes.